Hooking Rugs is a very popular site for rug hookers from all over the globe. They approached Eastwood Design to allow them the ability to offer online rug hooking courses. Since then we have also moved over the entire online store and redesigned their homepage. 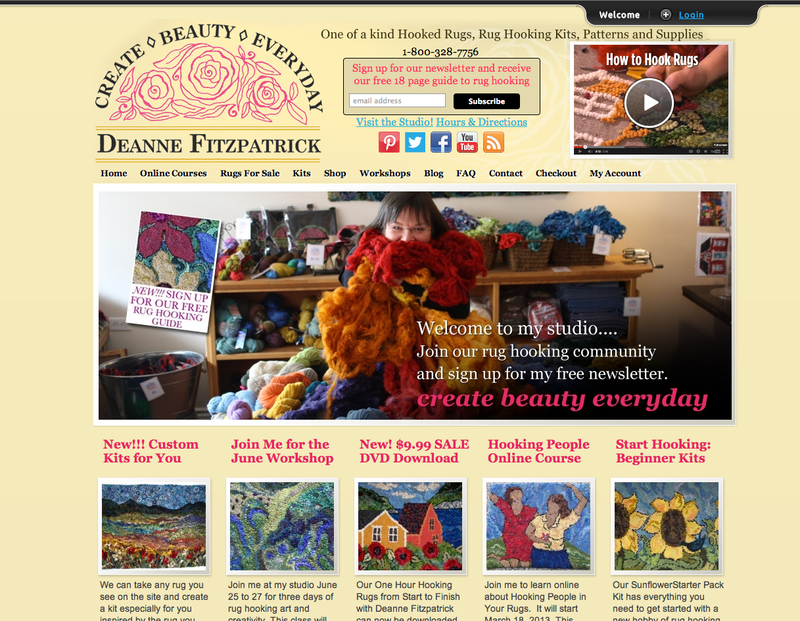 Recently we have also worked with Deanne to develop online courses allowing her customers to sign up for a variety of online rug hooking courses where students can learn and participate in an active online forum and discussion group. We are currently working on a subscription service that will give customers access to premium content.